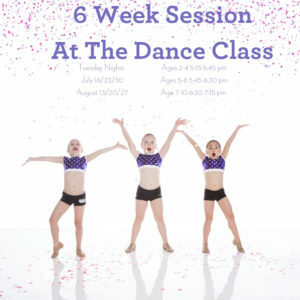 6 Week Session at TDC! Over the 6 weeks we will cover classes in creative movement, ballet, jazz and hip hop. This is a great introduction to the world of dance or a wonderful way to stay in shape over the summer! ©Copyright 2019 The Dance Class. All rights reserved.